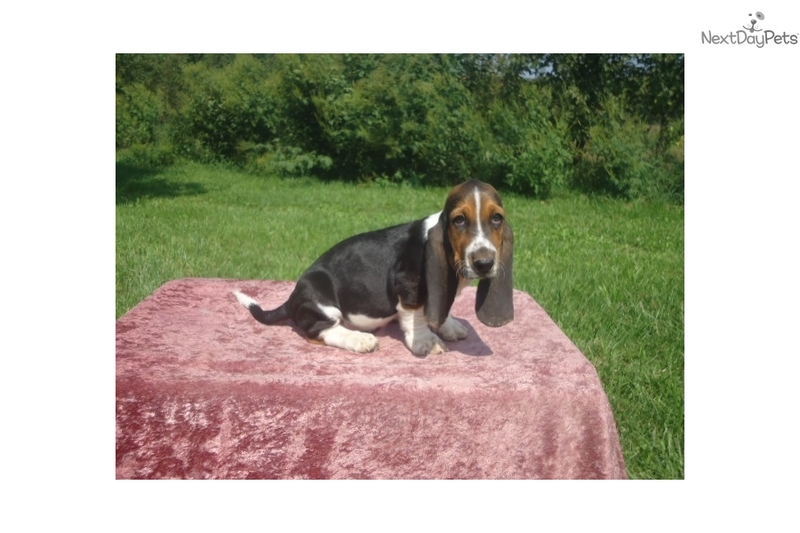 This Basset Hound nicknamed Alvin sold and went to a new family. 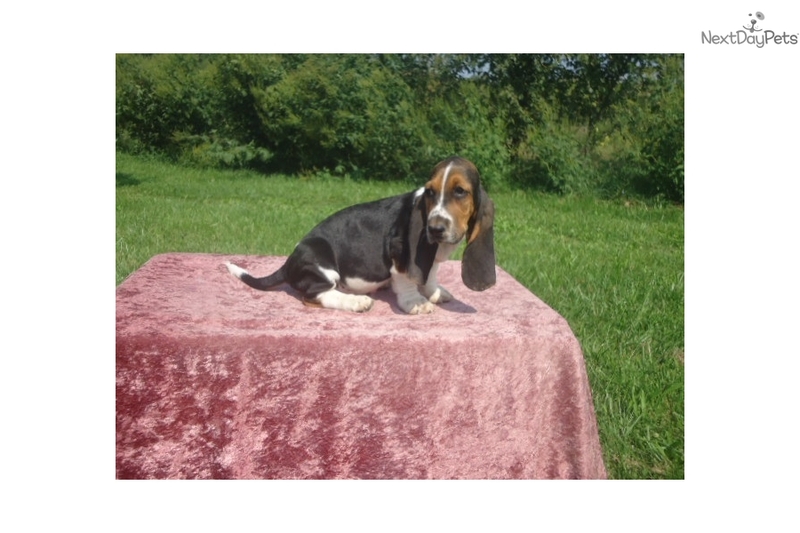 Beautiful tri colored AKC registered purebred male basset hound puppy with huge ears and wrinkles available on 09-04. 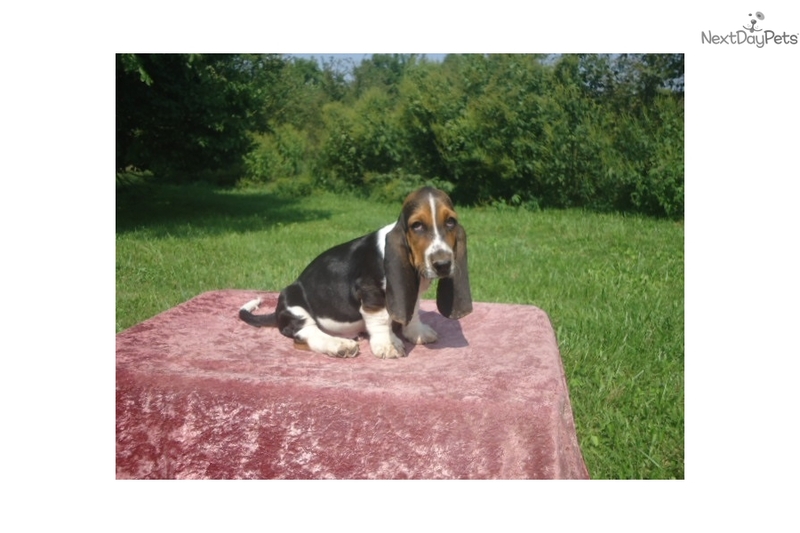 He comes vet checked along with a written health guarantee and is up to date on his puppy vaccines. 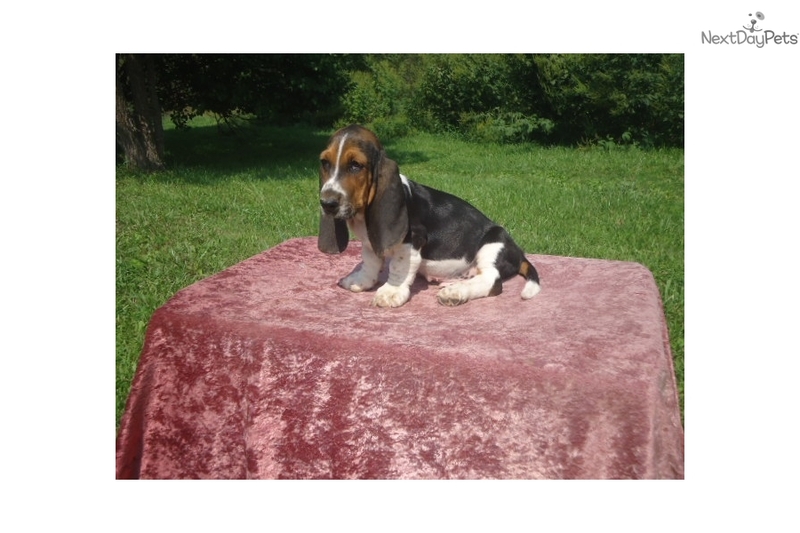 He should be about 55 lbs fully grown and is very playful and friendly. 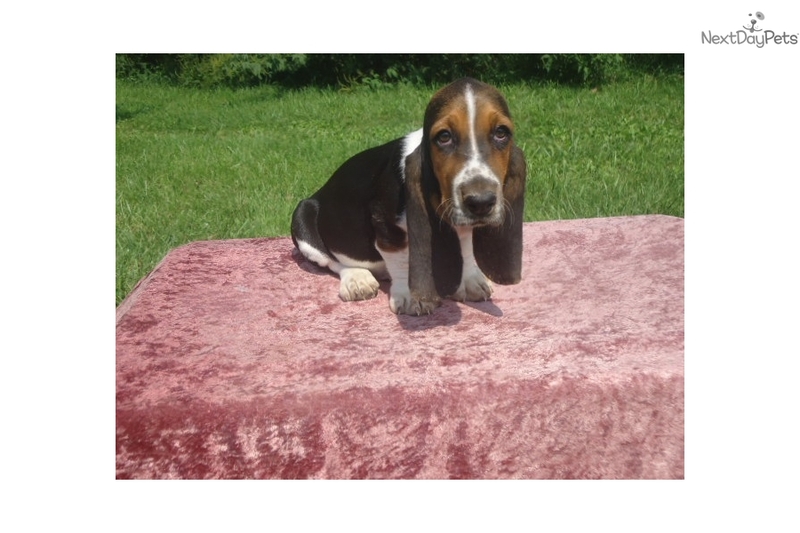 He is $695 and we can ship to most major cities for $250 airfare plus $30 for the travel carrier. 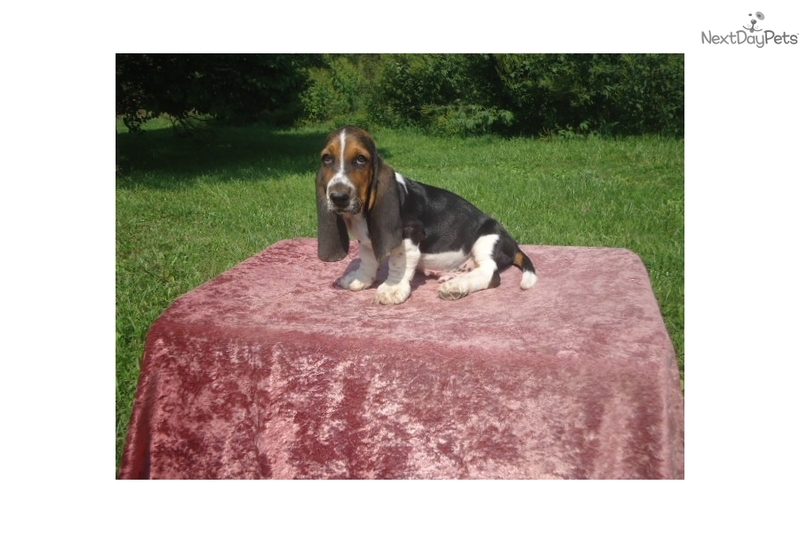 Please call or email with any questions, we have raised bassets at this same location for 17 years and we love to brag about them.